A lot of us head to Lokhandwala market to shop our hearts out, and we intended to do just that. 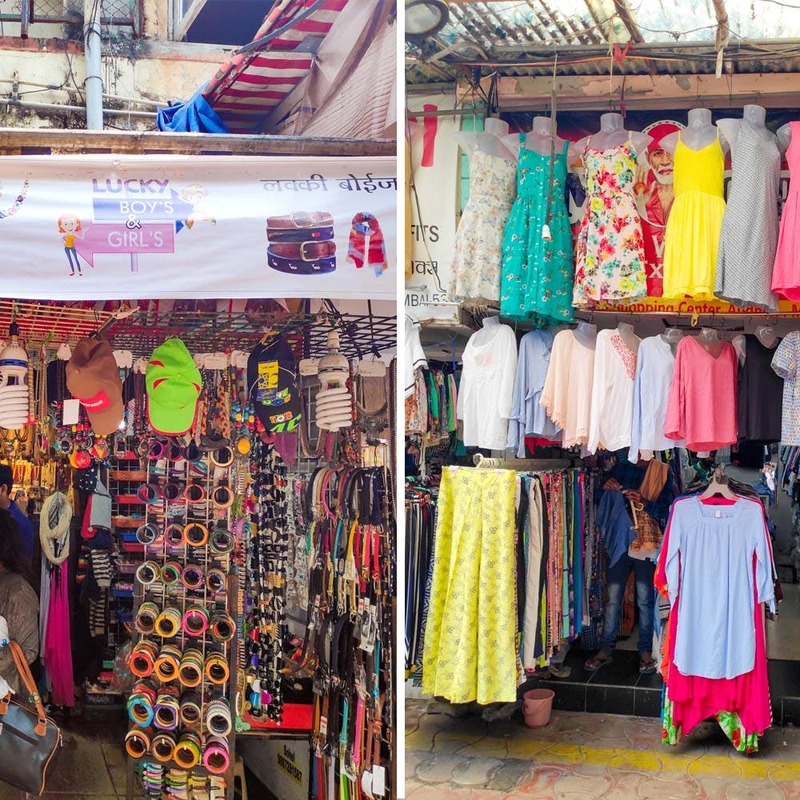 While we walked towards Kamdhenu Shopping Centre, we noticed the open market right outside and decided to check it out. Conquering this lane in under INR 1,000? We found a goldmine. Check it out! Price: The stone neckpieces start at INR 200 and you can even get pretty jewellery for less. While there are quite a few stores in the complex that have some really exciting options when it comes to clothing, we found one treasure called B.K. Garments, that sells women’s clothing, largely western wear, with some of the prettiest designs we’ve laid our eyes on. They have a few other stores around Lokhandwala for women’s clothing, but this store in particular had garments only made of cotton, from tops to formal shirts, dresses and pants for any occasion. Price: The starting price for their clothing is INR 250. Now, this was a fun find for us! Some of us are into baking and we were excited to see a baking store called Zikrah’s Koko Kraft, right towards the end of the lane, with products like chocolate slabs, pastes, powders, chocolate moulds, lacing sugar, pouches and boxes for chocolates, cake decoration accessories, bakeware and even bakery products. We picked up quite a stash (who doesn’t love making chocolates?!) and even got pretty bags to gift them to people. Theirs is one of the few shops we noticed that had Lindt’s cooking dark chocolate. Now, go have a ball! Price: Starts at INR 100 for a mould, INR 200 for chocolate slabs, etc. Towards the entrance of the complex, probably the 3rd shop in the beginning is Lucky Boys & Girls, and what really grabbed our attention were the number of multicoloured bangles made of wood, right just outside. Apart from this, you also see a crazy variety of belts, costume jewellery in every shape, size and colour, and even hair accessories. We had to shove our way in, but we ended up picking some wooden bangles in different colours for Navratri. Price: The range starts from INR 50 for hair clips, INR 80 – INR 120 for bangles, INR 250 for belts and so on. After a bout of shopping, we decided to end it on a spicy note and headed to Nissan Rolls for some wraps and rolls. One of the wraps we sampled was the paneer garlic wrap, which had the right amount of spicy and tangy at just INR 100. You can wash it down with a cooler or just have another, take your pick. Price: INR 100 for rolls, INR 50 for drinks.